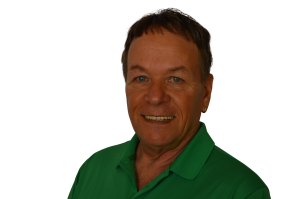 Robert Zink, is a modern day business man, mystic, successful life coach and mentor who, according to his clients, teaches astonishing things in the area of personal empowerment, career enhancement, and the law of attraction. In addition to his successful career in marketing & advertising, Robert is a Grand Master in Usui Teate Reiki Grand Master, Imperator General of the Golden Dawn Ancient Mystery School, an N.L.P. Specialist, Miracle Hypnotherapist, influential teacher, healer and Law of Attraction Coach. Robert is also the founder of the Qabalistic healing method called Ruach Healing Method. Along with his wife, Rachael is the co-author of three books on energy healing and the Law of Attraction. Robert began developing a deep interest in the spiritual nature of man at an early age. At seventeen, he lost his mother to an untimely death; however, he was able to leverage this tragedy and use it as a building block to propel his life forward. 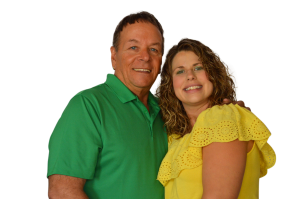 Over the next couple of years, Robert developed a close relationship with two people who would become life mentors in spirituality and the Law of Attraction. These two individuals were responsible for his initiation into the Sacred Mysteries at an early age of 21. Robert Zink has a passion for reading and ever expanding his knowledge. Robert has studied well over Five thousand books on personal empowerment with subjects spanning from the ancient Greek rites of initiation to how to develop better relationships, earn more money, use the law of attraction, and invoke healing into your life or the life of a loved one. His favorite reading and lifelong study have been of the ancient teachings of Hermes Trismegistus. Hermes is the author of the Emerald Tablet. The Law of Attraction finds its source in the Emerald Tablet. Robert Zink’s knowledge in modern science, business, marketing, the law of attraction, and esoteric studies is what makes him uniquely qualified to teach and mentor those who hunger to aspire higher. Few people in the world of personal empowerment possess the depth of knowledge and skill held by Robert Zink. Over the years, Robert has hosted radio talk shows and worked for advertising firms. Several of these successful companies he built from the ground up with a “do it now” action style that his uniquely his. In fact, his first advertising firm was started with just $28. (Amperage Advertising, INC 1970’s). Amperage went on to be a successful ad agency for several years in the Seattle-Tacoma Market, specializing is radio. Robert Zink is the founder of Miracle Mentoring and Alchemy Life Coaching. Miracle Mentoring and Alchemy Life Coaching is an innovative personal life mentoring system that has helped thousands around the world live the life they deserve. In Miracle Mentoring and Alchemy Life Coaching Robert distils the teachings of the ancients, along with knowledge of other modern modalities to create lasting change in lives around the world. Part of Miracle Mentoring and Alchemy Life Coaching is to get the client thinking thoughts of abundance, wealth, health, and happiness. He has studied many tools and theories to bring this change. Robert Zink is the creator of NLA – Neuro-linguistic Alchemy (an advanced and spiritual form of NLP – Neuro-linguistic Programming), hypnosis, and more efficient form of hypnosis called, Miracle Hypnosis. Mentoring business people, college students, sports athletes and individuals from every walk of life has given me the experience to produce innovative CD programs, books and courses to help you maximize your real potential. You will not find cheap jargon or trite sayings in these programs that will assist you just for a day or two. Instead, you will discover the Oracle within that will guide you to increased joy, peace, prosperity, health and happiness for a lifetime. Visit lawofattractionsolutions.com/shop for a complete list of these programs. Robert’s site lawofattractionsolutions.com is a dynamic resource, full of new articles, blogs, podcasts, and cutting-edge tools to help you live a life of personal power and magical mastery. As well as, Robert’s years of knowledge in audio programs, he is a student, teacher, and practitioner of the Ancient Mysteries. In his younger years, he helped to re-establish the Esoteric Order of the Golden Dawn, a hermetic organization that teaches the science and secrets of Qabalah, spiritual alchemy, self-mastery, initiation and the magic of Light. Robert Zink now serves as Chief Magus and Imperator General of the Esoteric Order of the Golden Dawn. He has been a leader in the mystical community for 30 years and continued in that role. The Esoteric Order of the Golden Dawn finds its roots deeply embedded in Western Mysticism and was established in London, England in the late 1800’s (For more information on the Golden Dawn, visit www.goldendawnancientmysteryschool.com). © All Rights Reserved. Robert Zink, Miracle Mentor of Light.